Just recently I posted this question to my Twitter PLN. Within half an hour I had about a dozen tweets in response. I promised Stacy Bodin that I would post the responses for everyone, so here 'goes! This seemed to be the most popular site that was sent to me. It is hosted by the Wildlife Conservation Society and the New York Zoos and Aquarium. 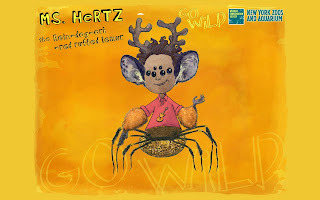 Students can choose their gender, their skin tone, and add eyes, hands, feet and 'backsides' that are all animal parts. To use this as an avatar, students would have to click 'I'm Done' and then save the image to their desktop to use. It is free and does not require a login account. The only downfalls are that you can't link to the image unless you email it to someone, there is no embed code, and the image includes a fairly large background since it's intended as a desktop image. This site allows you to create a personalized avatar for free. However, it requires signing up for an account. It seems that there are more options in wardrobe, accessories, etc... if you make one using your account. A drawback is that you can't access your avatar without opening the confirmation email and logging into the website. There are embed codes available once you have an account and create an avatar. that looks like a superhero. The female character is wearing underwear, which some teachers or adults might not approve of when creating avatars with younger students. It creates a downloadable .jpg file of a comic book cover that can be uploaded to a site (see the image to the right). 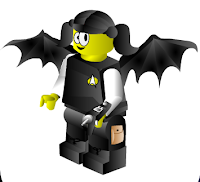 Reasonably Clever Lego Avatar You can use this site to create a Lego avatar. Just choose your hair, clothes, etc... and then you can save the image by selecting it using Shift-Command-4 (Mac) or a screen capture software/Print Screen (Windows). The directions on how to do this are on the site. The Simpsons Movie Avatar Creator I'm not sure if my district blocks this site, but it's an obvious winner with kids! I was able to save the head of my avatar by clicking 'download.' To save the avatar, you need to create an account. alpoy.com This site allows a user to upload a photo from their computer and add lines, shapes, color and text to it. Although it is not recommended that students use their real photograph as an avatar, they could use an photo to edit. This site also requires an account to save and work with images. I was able to play around with it using the Demo version with pre-loaded images to see how it works. LooGix.com This site creates animated gif files from a photo you upload from your computer. You can then get a link to the image and an embed code. You can also 'quick post' the image to a number of social networking sites. Again, teachers may want to have students use an image, not a photo of themselves to protect the students' identities. This site, though written in another language (Portuguese? ), has a list of 20 sites you can use to make avatars. Ah, the POWER of Twitter that my message got all the way around the world! It looks like a great site. I wish I could read it! You could also use Dumpr.net to create an image for an avatar. I reviewed this site in an earlier post here. If you have any other suggestions, please leave them in the comment area. I want to teach my students how to safely use an image to represent themselves online on their blogs and Gaggle profiles. and all the people who re-tweeted my question around Twitter! ...who helped me in my quest on Twitter! Excellent excellent post, very well organized, great work!!! You need to do the screen capture and then crop the image in editing software - but kids love the simplcity of it. Thanks, David, for the compliment, and thanks to everyone who shared more links--keep 'em coming! Thanks for the list. Nice post. This will be a hit among children and student and also people like me. I use stortroopers.com with my students. They create an image and email it to themselves (gif). So What is This #edchat Thing Anyway?